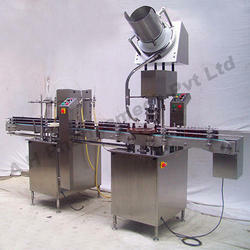 Our range of products include automatic four head liquid bottle filling machine and automatic four head vial filling machine. Our enterprise has gained immense recognition in offering optimum quality Automatic Four Head Liquid Bottle Filling Machine. 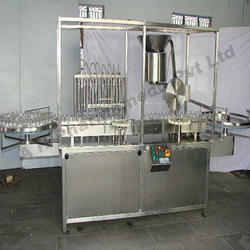 It is used for bottle filling and sealing applications in pharmaceutical applications. The offered product is examined on various quality parameters before delivering in the market to ensure its high durability and flawless working.